I don’t often post press releases here, but this one excites me! Razer is a company that has produced gaming peripherals for years now. Used by pros and casual gamers alike, they always produce distinctive and interesting kit. So when they announced they were going to release a fitness like band, I had to find out more! It turns out they have made a competitor product to the likes of FitBit (which I use) and Nike Fuel Band (which I can’t afford!!). Not only does it look really cool, it has a boat load of features. Rather than just a fitness tracker, it is a full features smart watch, showing you incoming calls and notifications. It is a fitness tracker, with location awareness and all sorts iof other bio data. Finally it is social, with band to band communications. The other reason I have decided to post about it, they mention gamification as one of the features. As such, I have asked for a unit to do a full review of – with luck I will have one soon to do just that with! 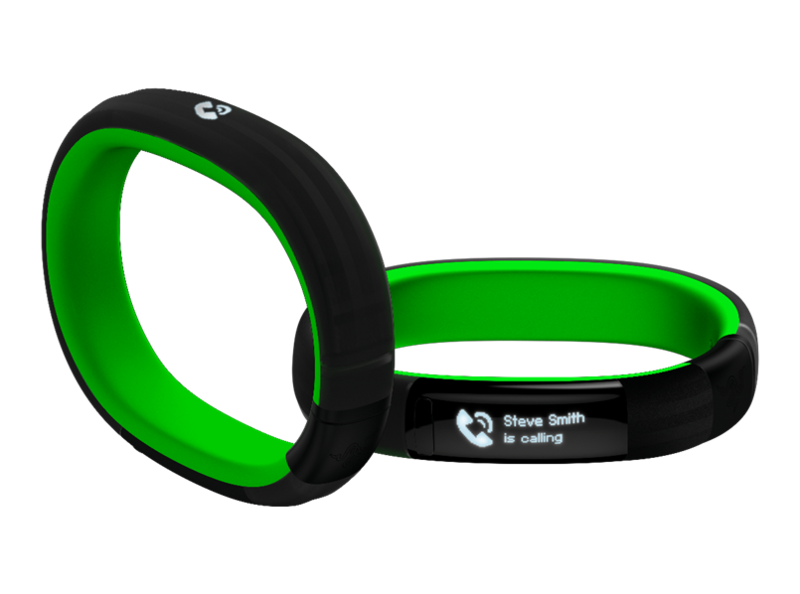 At CES this year, Razer entered the arena of the Quantified Self and smart watches as they announced the Nabu Smartband! The Razer Nabu will be available for sale worldwide in late Q1 2014 (retail price, TBD), while developers can sign-up now and get the band at the developer’s price of $49. Availability: Worldwide launch at the end of Q1. Price: Developer’s price, $49; retail price, TBD. Looks cool. I use the UP band and although I love my UP band I have had to return both of the ones I bought after they malfunctioned. Both times new, replacement ones were sent right away so warranty is good but still. I’m curious about this one esp what the retail price will be. As I say, I use the FitBit flex, but it has limitations. The Nabu looks like it could be a great device. it all depends on how well it is supported after launch and of course the price point! But a gamified device made by expert game peripheral makers – yes please!